One of the cornerstone acts of the U.K. retro-soul scene, the New Mastersounds play taut, old-school instrumental funk with a contemporary energy and an enthusiasm that has earned them rave reviews and led them to collaborate with a number of major acts in Britain and the United States. 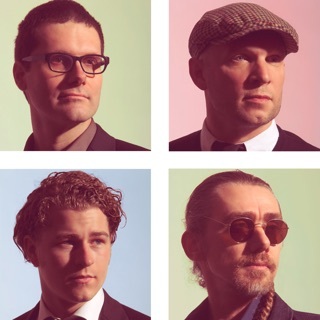 The New Mastersounds were formed in 1999 by guitarist Eddie Roberts, who was DJ'ing at a weekly club night in Leeds devoted to classic soul and funk. When the event moved to a new venue that covered two floors, Roberts saw the opportunity to add a live band to the mix, and he recruited drummer Simon Allen, who had previously played with Roberts in a band called the Mastersounds. With the addition of Pete Shand on bass and Bob Birch on piano and organ, the new act was complete, and in tribute to their old group, Roberts and Allen dubbed the combo the New Mastersounds. It didn't take long for word about the New Mastersounds to spread, and in 2000 they released a pair of 7" singles on Blow It Hard Records drawn from early rehearsal tapes. In 2001, they recorded their first full-length album, Keb Darge Presents: The New Mastersounds, which was issued on Darge's Deep Funk label; the album earned enthusiastic reviews, and top DJs such as Cut Chemist, Pete Rock, and DJ Shadow sampled their grooves. Their second LP, 2003's Be Yourself, included guest vocals from Corinne Bailey Rae, and following a third studio set, 2005's This Is What We Do, the band documented the sound of its fabled live sets on 2006's Live at La Cova, recorded at a club gig in Spain. In 2006, the New Mastersounds briefly expanded to a five-piece with the addition of Rob Lavers on sax and flute (a number of guest horn players have recorded and toured with the group over the years), but he parted ways with them in 2007, the same year Bob Birch left the lineup, making way for new keyboard man Joe Tatton. As the New Mastersounds toured clubs and festivals around the world, they continued to attract new fans, including American funk legends Art Neville of the Neville Brothers, Maceo Parker and Fred Wesley of James Brown's J.B.'s, and George Porter, Jr. of the Meters, all of whom have jammed with the combo on-stage. 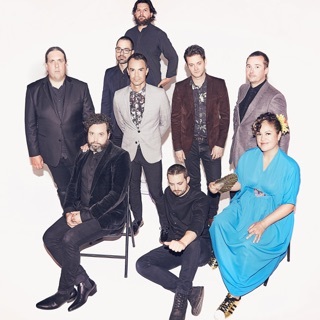 In 2008, they collaborated with vocalist Dionne Charles on the album Plug & Play, and in 2009 they celebrated their tenth anniversary with the appropriately titled Ten Years On, which included guest spots from Grace Potter, Chip Wickham, and Skerik. Having established a strong fan base in the U.K., Europe, and Japan, the New Mastersounds began looking to the United States. During a stay in Texas, they cut Breaks from the Border (2011), which featured vocals from the group members for the first time. Out on the Faultline (2012) was a Bay Area affair, recorded in Oakland and San Francisco. It was followed by The Hamburg Session (2013), a performance documented in Germany. The band's studio recordings resumed with Therapy (2014) and Made for Pleasure (2015), made near Red Rocks, Colorado and New Orleans, respectively.